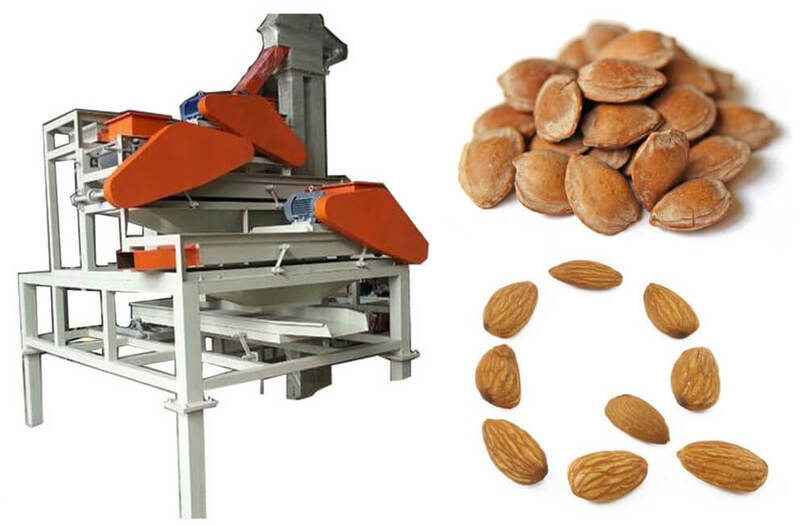 Almond shelling machine is a complete line for shelling almond, apricot, and other nuts. The first step is to grade the almond into 4 grades; the second step is shelling; the third step is shell removing and separating the shell and kernel. At last the unshelled almond will be sent back for second shelling. We also have almond kernel grading machine for your choice. The whole Almond shelling line includes 3 steps: grading process, shelling process, and shell removing process. In this process, the almonds can be graded into 3-4 grades. 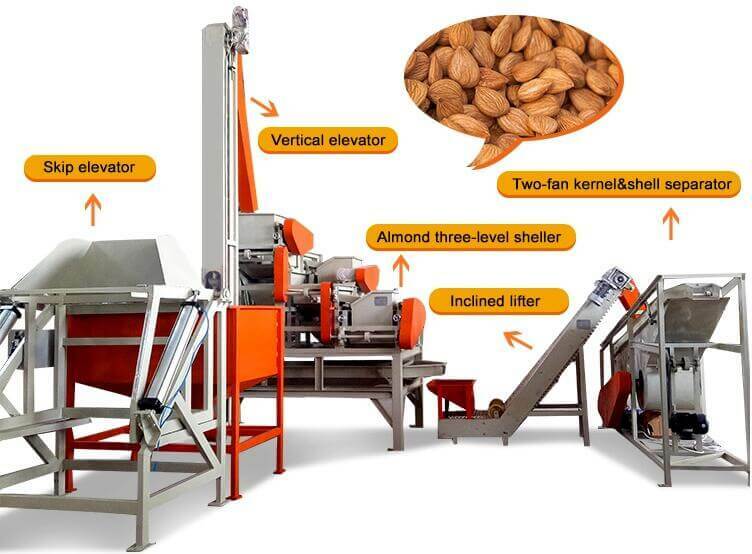 After grading, the almond of different sizes will be automatically separated from the different discharging mouth. 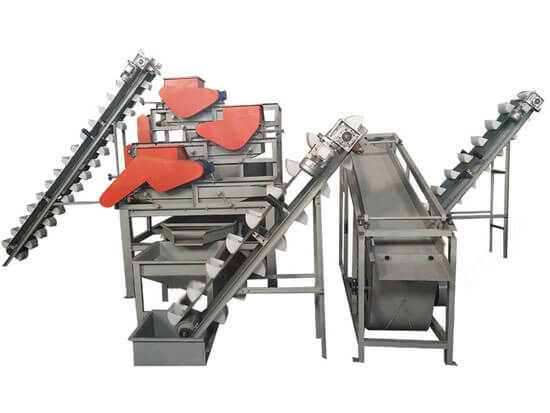 It also can be used for grading and sieving peanuts kernels by size.